Celebrate all the changes that autumn brings by hosting a fall harvest party. 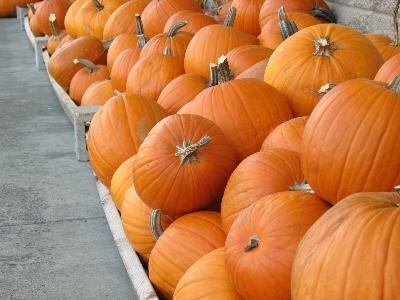 Sometimes held as an alternative to Halloween parties, these events can make use of foods harvested in the fall, such as pumpkins and apples. Set up game stations with scarecrows and signs. Each game could have a scarecrow holding a set of instructions and guarding the prizes. 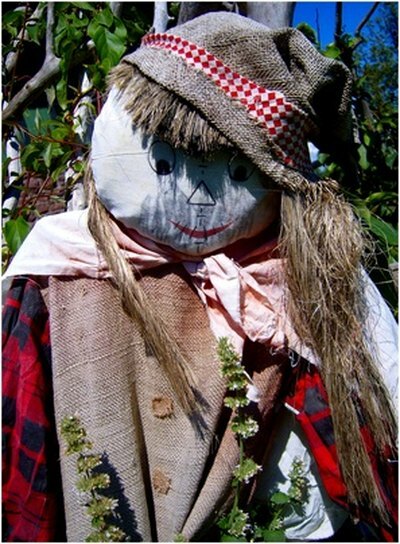 Post a scarecrow at the entrance of your party to welcome your guests. 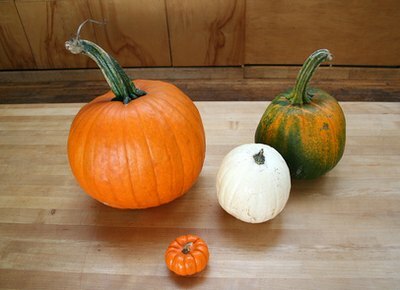 Gather pumpkins with their stems intact to play a game of ring toss. Rope off an area for the pumpkins. You can clump several pumpkins close together, or place them in a vertical line and award more points for the pumpkins farther away from the throwing line. Use canning lid rings or create your own hoops with heavy rope and duct tape. Younger children can be challenged to throw a hula hoop around a single pumpkin. Use small pumpkins to make the game more challenging. Have the guests visit this easy game to retrieve a party favor. 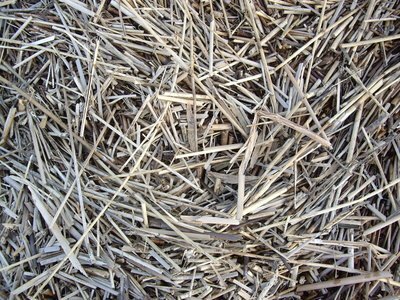 Fill a wheelbarrow with straw. Hide small toys in the straw. Let the party guests dig for a prize. Reload the straw and prizes as necessary. Make the game a little harder by having kids put on work gloves and a bandanna blindfold before searching for prizes. Play follow the leader with an adult dressed up like a scarecrow. Have all the kids line up behind the leader and do what he does. They can march, jump, spin around, etc. Lead them to another game or have them follow into the food area. Provide a pair of overalls and bandannas if the kids want to take turns being the leader. You can also play a version of the game "Simon Says" with a scarecrow. Have the person dressed as a scarecrow call out instructions for the party guests. If he says, "Scarecrow says," the guests should complete the action. If he doesn't, and someone moves, they are out. 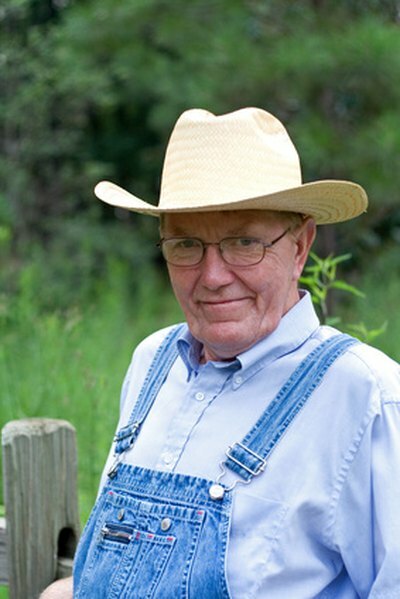 Find a willing adult to play the scarecrow, or an honorary farmer for the party. 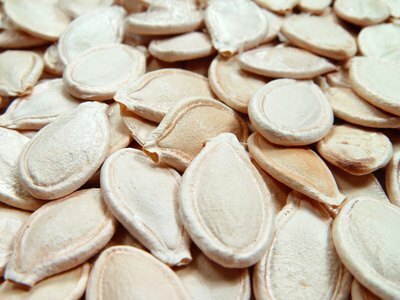 Play a harvest party game using pumpkin seeds and baskets. Mark a line at least three feet from a line of baskets. Have the kids take turns throwing or flicking seeds. Offer a small prize or piece of candy for each seed that makes it in the basket. Color pumpkin seeds with markers to designate players if more than one child is tossing at the same time. Hold a relay race with pumpkins and brooms. Line up two players at the starting line. The object is to be the first person to roll her pumpkin to the finish line using the broom stick. You can have the kids use their hands instead of the brooms. Pumpkins do not roll straight, so be sure to play this in a large open area.